Our dear friends Brian and Kari Onishi moved away from us the day after their wedding in 2009. Since then we have seen them a handful of times. This time was special. Kari is due to deliver their first little addition in July so she is a glowing 6 month pregnant mommy. 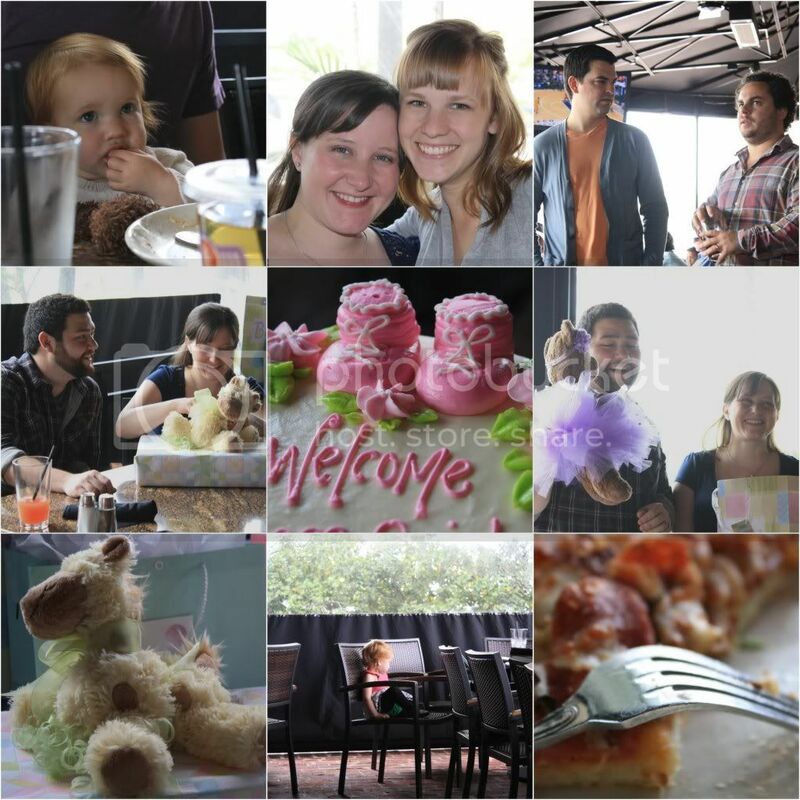 A group of us got together at BJ's to celebrate this happy time...we are so so excited for them and their little addition. I also took a stab at quilting...here is my first attempt. 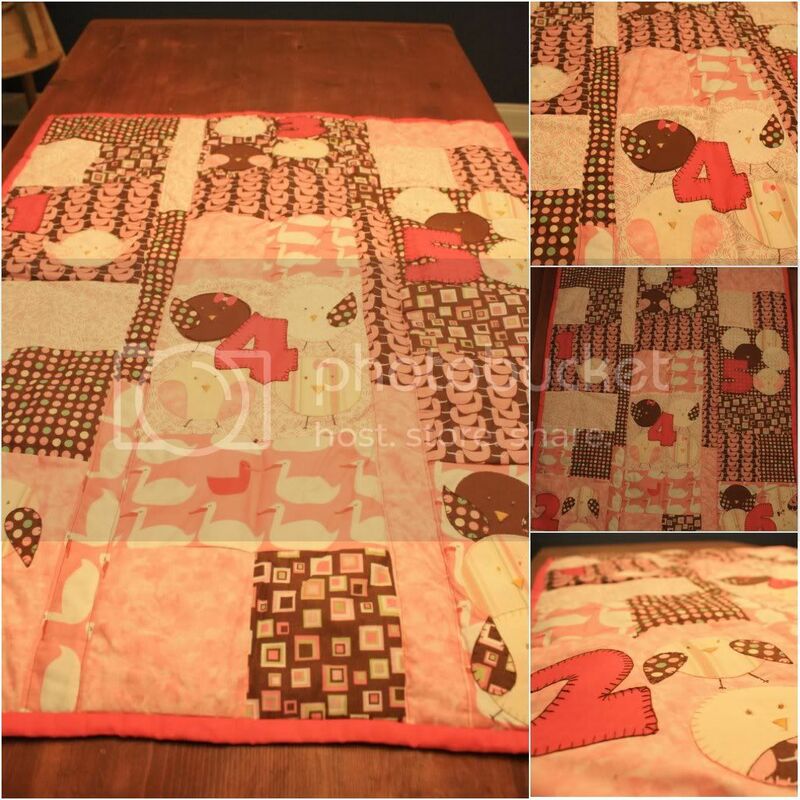 A perfectly pink and brown quilt for baby Abigail. Congratulations Brian and Kari!!! We are so lucky to call you friends and even more lucky to call Abigail our perfect little Goddaughter. We can't wait to meet her.